In 1896, the Old Homestead started out as the town of Cripple Creek’s exclusive brothel during the days of the gold rush in Colorado. Today, the Old Homestead is now a historic building that houses the Old Homestead House Museum. This museum receives thousands of visitors every year from throughout the world who are interested in learning about life during the time of the Gold Rush. The building that houses the Old Homestead was constructed back in the year 1896. The Old Homestead was considered the most elegant of brothels in the Cripple Creek District of Colorado back in its heyday. The building first opened to visitors as a museum in 1958, and has since become a favorite attractions in the town with thousands of guests each year from across the globe. The Old Homestead was built by Pearl DeVere, a famous madam, to provide a service for the desires of the powerful and rich men men of the mining district of Cripple Creek during the gold rush in Colorado. The brothel situated within a luxurious parlour house offered the most beautiful women in the area. DeVere built the Old Homestead building after Cripple Creek was destroyed by two different fires, and modeled it after some of the elite brothels that were found in the city of Paris. The building was constructed out of brick in order for it to still stand if another fire happened to level the town. The Old Homestead has survived for quite some time, still standing after over one hundred and twenty years. It is the last original structure that still remains standing in Cripple Creek of the several infamous palaces of pleasure on the town’s Myers Avenue. The ladies in the Old Homestead House Museum today are local women who work to keep the tale of the Old West alive after so many years through sharing stories of the lives of the women who worked in the Old Homestead brothel. Visitors to the museum can also learn about the lives of the miners during Colorado’s Gold Rush who helped make the Cripple Creek District famous. The Old Homestead House Museum is open to the public from June until October, and offers tours on a daily basis from eleven in the morning until five in the evening. 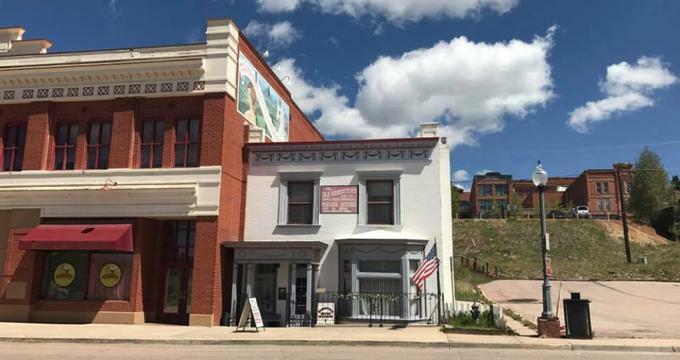 The local residents of the historic district of Cripple Creek in Colorado, as well as residents of the surrounding area, offer guided tours of the museum to help keep the fascinating tale of the famous Old West alive for generation to come. The dedicated people share the stories about what everyday life was like for the women who made their living by working in the Old Homestead brothel, as well as the stories of the rich and powerful men who were patrons of the brother during its heyday. Pearl DeVere build the Old Homestead with the idea of making it the most elegant looking house in Cripple Creek. Several of the original features of the opulent house can still be seen by visitors today as numerous antiques are present from the gold rush time period.